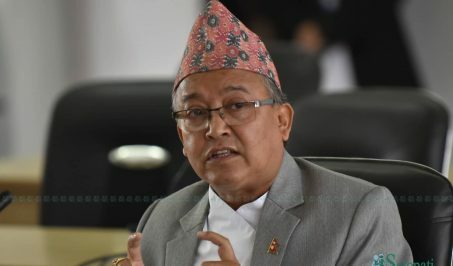 Prime Minister KP Sharma Oli has spoken of the need of ending a situation which evaluates an agitation of a particular person is paramount and in which the constitution, rule of law and the national necessity failed to function. “The agreement is not the final truth as it was made to address the contemporary situation, but the government is committed to the agreement,” the prime minister further added. According to him, everyone shall abide by the defined limitations and rule of law and we all are within the system of the law and constitution. None is expected to consider oneself ‘supreme’ going beyond the system and process. Giving his reply to a question by NCP’s Rekha Sharma, the prime minister said the government was working actively and with much awareness to conclude the remaining works related to the peace process which formally ended the long conflict in the country. Some major works such as the management of arms and combatants had been already completed and common programmes aim to reduce and heal the pains and suffering of war had been in progress. The establishment of peace had replaced the conflict.